Each year homeowners claim hundreds of millions of dollars worth of damage to their homes. Whether your home is brand new or old, it is still susceptible to water, wind, hail, theft, and fire damage. When this damage occurs, it will not only cost you a pretty penny, but it could displace your family, or your renters, for a significant amount of time. That is why Rocklin property management company, RPM SAC-METRO, has put together a list of the most common reasons that homeowners file insurance claims and how you can protect yourself against them happening in the first place. According to Travelers Homeowners Insurance data over an eight year period, windstorms take the lead by accounting for 24 percent of all annual losses. That is nearly one-quarter of all claims. Short term solutions to better protect homeowners consist of pruning trees to prevent them from overgrowing and falling onto rooftops. According to the Insurance Institute of Business and Home Safety, tree-related windstorm damage causes hundreds of millions of dollars worth of damage each year. Long term solutions may include the IBHS FORTIFIED Home Program. By hiring the IBHS FORTIFIED home building team, you can build a home that is reinforced and can withstand hurricanes, high winds, hail, and severe thunderstorms. The experience FORTIFIED team uses reinforcements on both new and existing homes to tape roof deck seams, achor porches, decks, carports and other attached structures, and anchoring the roof to the exterior wall and the wall of the house to the foundation. This accounts of 20 percent of all claims to Travelers Homeowners Insurance Company. It is made up of water damage caused from leaking pipes, water heaters, refrigerators, air conditioning units, and washing machines. Rocklin property management companies are all too familiar with water damage that is not storm related. SAC-METRO takes preventative steps to make certain any sign of a leak is discovered and repaired before it becomes a flood. Short term solutions to protect your home against flooding including conducting regular annual or semi annual inspections of your appliances, hoses, and fittings to check for leaks or corrosion. Fix any leaks immediately. If you plan to be away from your home for an extended period of time, shut off the main water line and drain the pipes. Long term solutions include purchasing sensors that detect water and signs of a leak at the appropriate locations in your home including behind the refrigerator, water heater, washing machine, and dishwasher. Damaged caused by hail makes up 16 percent of all homeowners insurance claims. While property management Rocklin companies do not usually see much hail in this area of the country, the Midwest receives usual hail storms during tornado season with hail as large as the size of baseballs. Short term solutions include removing patio furniture from outside and placing it under a covered area, like a carport or garage. Park your vehicles inside a garage of under a parking structure. Long term solutions include getting your home IBHS FORTIFIED. You can click here here to see if your home is in a hail-prone area. If it is, IBHS can provide homeowners with a high impact roof covering. Melting snow, flash flooding, severe rain and thunderstorms, and ice damage make up 11 percent of national homeowners insurance claims. Short term solutions that can protect your home include clearing rain gutters, storm drains, and inspecting your roof to ensure all shingles are in good condition. The Rocklin property management team at SAC-METRO has adopted semi-annual property inspections to clear rain gutters of debris and inspect the property to ensure it is weatherproof. Long term solutions include installing a waterproof membrane under your roof to prevent water from leaking in, insulating your attic to prevent ice-dams, and insulating water pipes to prevent them from freezing during the winter months. Theft and burglaries account for 6 percent of insurance claims. Short term solutions to protect your home include closing and locking windows, doors, gates, and garage doors. Refrain from hiding spare keys outside and if you are going to be away, talk to a neighbor about collecting your mail from your mailbox for you and bringing in your trash cans after trash day. Long term solutions include installing a security system with alarms, cameras, lights, and even a live monitoring agreement with the security system of your choice. Manicure your yard to prevent overgrown trees and shrubs which provide a good hiding place for thieves. 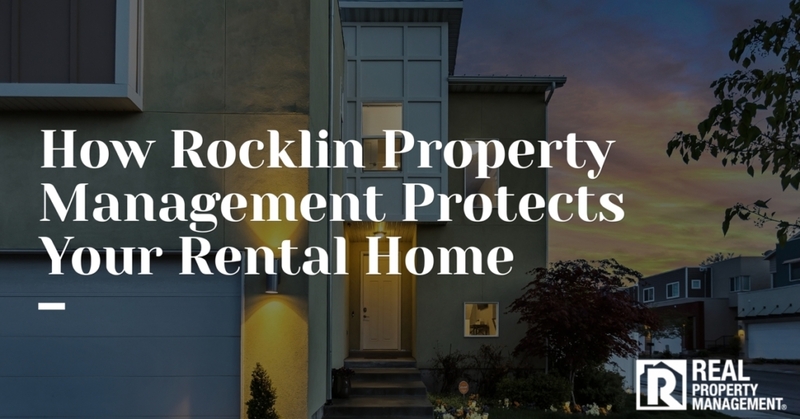 Property management Rocklin experts have found that installing motion sensor lighting, hanging curtains on windows that can be easily viewed from the street, and getting to know your neighbors can be helpful in preventing unwanted visitors at your property. SAC-METRO wants your house to be a safe and secure haven for you and tenants. Call SAC-METRO today to see how we can provide you with the physical and financial security of your home.